Installing tile is the best way to update your home without going through an expensive renovation project. A new tile design can instantly add a brand new dimension to a room and provide pattern and color to your suite! Use beautiful and unique tiles or opt for the much simpler ones with only one color - the latter can elegantly frame bathroom fittings. Aside from tiling floors, you can also install tiles on walls and pathways - the options are endless. Take it from us as we have the most incredible tile designs that are sure to boost your home's resale value. Check them out! Spice Up Your Space with RED! Want an unexpected and unique approach to decorating with the use of tiles? Go for a bold red tile work! From a distance, what you will see is a surface that has neutral colors. However, once you take a closer look, you will see many of striking variations. Starting from terra-cotta finishes to marble, these tiles can combine beautifully to give you a patchwork that has a natural look. This is surely going to be appreciated by guests and visitors that have an elegant and sophisticated taste. It is amazing what one can do with just a couple of mismatched tiles. In a white bathroom, you can create a stunning collage made of reclaimed tiles. Just stick to a single color as it's the secret in ensuring the tile artwork looks absolutely the best. Checker board floor tiles can be installed anywhere in your home and they will create a striking look. When decorating, most people do not put too much thought into their floors. However, there is no way you can miss the pattern as these tiles are eye-catching. This is the best design to use if you want one that will make a huge impact. 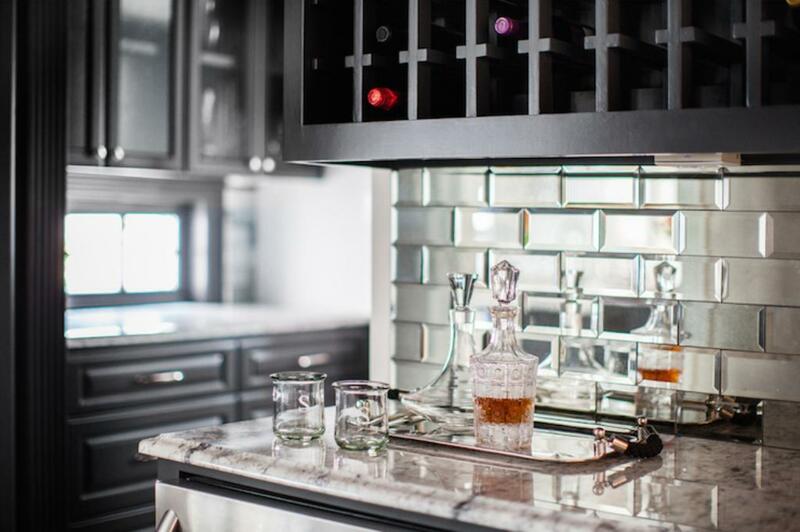 If what you're looking for is something that's less intense, opt for B&W tiles that are in a larger format. If you have a bathroom or any other room in your home that looks dull, then you might want to add stunning mosaic tiles not just on the floor but on the walls as well. This is the best way to make a statement while doing it in a subtle manner. Your space will seem bigger if you use one texture and color. Having said that, white furniture and fixtures will create the finest contrast to dark-colored tiles. Not all people want some kind of pattern on their tiled surfaces. You would instantly think that the only other option is a plain-looking, boring tiled surface. We have another proposition that you are sure to like: textured tiles. Texture is the biggest trend this year. It’s perfect and effective when you combine it with good lighting. The relief pattern will be highlighted and a cocooning atmosphere will be created. Subtle textures help focus the eye to your smooth, elegant fixtures. Everybody loves to be surprised by an eclectic bathroom. The design pieces look as if they are thrown wherever but also well thought-out. Brick-shaped, bright teal blue tiles provide you with a focus point. For the fun and little chaos, the accessories will take care of that for you. Porcelain tiles are excellent for bathrooms as they can be patterned or plain and used on walls and floors. They can also replicate a number of materials such as metal and wood.